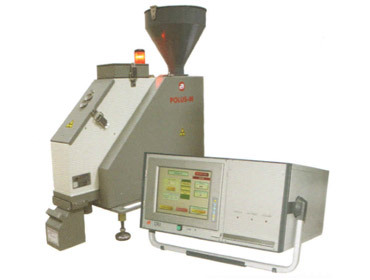 Luminescence sorter POLUS-M is designed for geological exploration of diamond deposits and for enrichment of dry diamond bearing concentrates in field conditions. The sorter consists of the sorting machine and the operation and registration unit. The registration unit and the X-ray source are located on opposite sides of the material flow. Access to the transport channel is via removable doors. It allows operating in field conditions. No water and compressed air are required.